Samuel Beckett was a playwright, a novelist, a Nobel Prize winner and the chauffeur for a school-aged André the Giant. 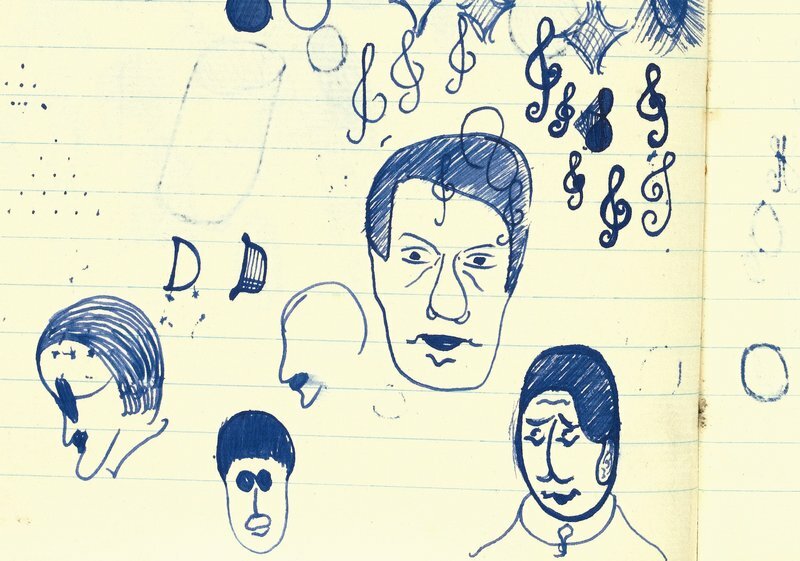 He was also, apparently, a compulsive doodler. 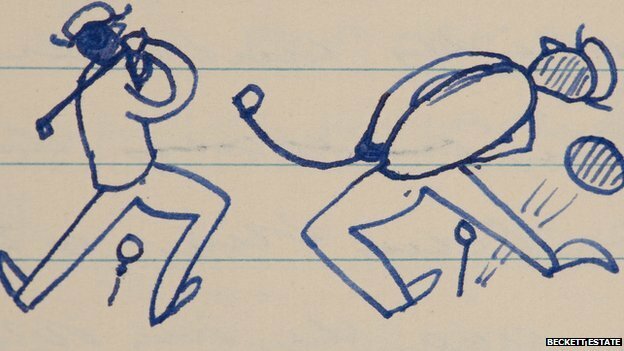 The original manuscripts of his first and second novels, Murphy and Watt respectively, are covered in marginalia. The manuscript for Murphy, comprising six notebooks, was auctioned off last year by Sotheby’s to the tune of £962,500 (or over $1.6 million). The book was written between the years of 1935 to 1936 and the manuscript shows numerous revisions. 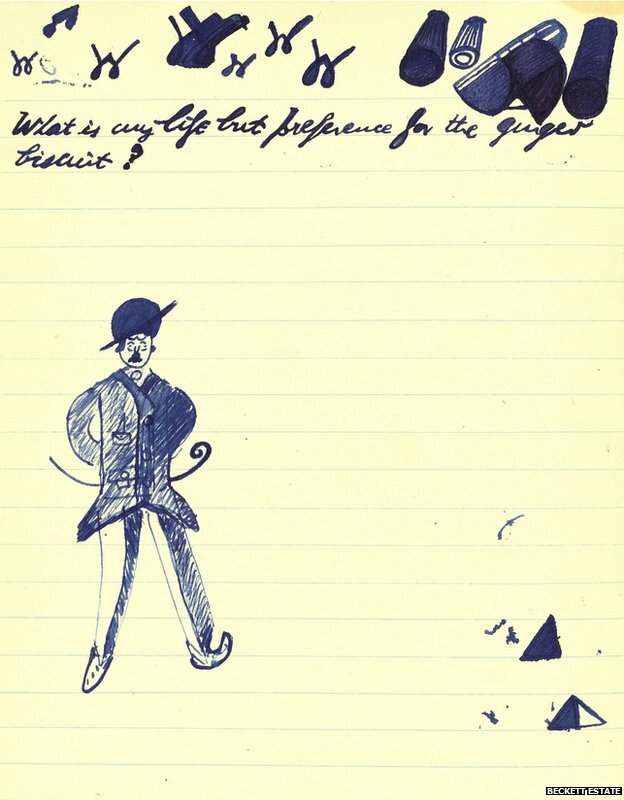 It also contains this doodle (above) of Charlie Chaplin, who would later influence his seminal play Waiting for Godot. 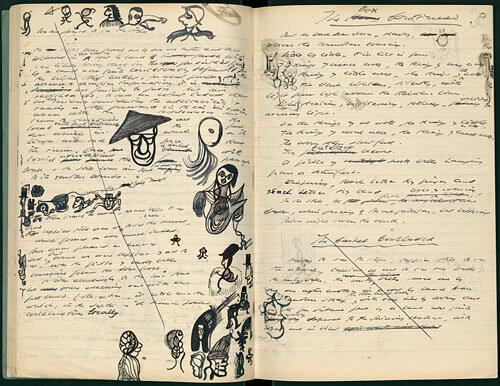 Beckett's doodle of James Joyce appears beneath it. For someone who made a career exploring heavy themes like nothingness and futility, his drawings are nothing like the stark, angular doodles of Franz Kafka. Beckett’s pictures are curvy, light-hearted and whimsical. Look at the drawing below. I really don’t know what’s going on there but it sort of looks like a man in earmuffs giving birth to a hat. And this one is of a couple golfers. 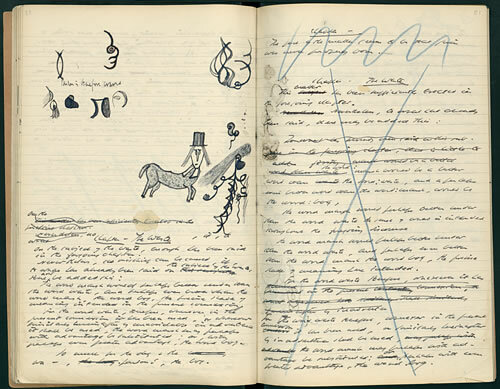 Beckett’s second novel Watt, the last book he wrote in English, also took up six notebooks. According to Beckett’s recollections, Watt was written “in drips and drabs” while he was in living in France during WWII. 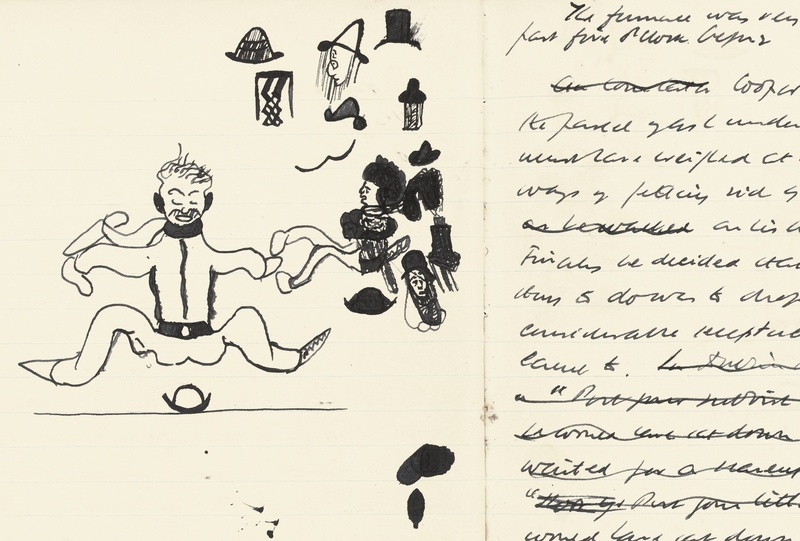 In the first notebook, alongside an X-ed out page of text is this odd drawing of a long-haired centaur in a top hat.